Copper – Independently verified screened and unscreened data communication structured cabling solutions, providing ultimate performance and reliability for today's and tomorrow’s copper infrastructure requirements. Our Cat 5 (Cat 5e) or Cat 6 solutions will exceed TIA Cat 5e standards. Fiber Optic – Conventional and blown fiber (fiber) cabling solutions that compliment the deployment of optical solutions deeper into the network delivering a future-proof infrastructure. Specialty Cabling – Copper and fiber (fiber) solutions for diverse and environmentally demanding applications such as Mass Transit, Marine, Automotive and Aerospace, that typically require adherence to strict performance criteria. Low Voltage – Solutions that include music and paging systems, CCTV and security systems, fire alarms and access control systems. 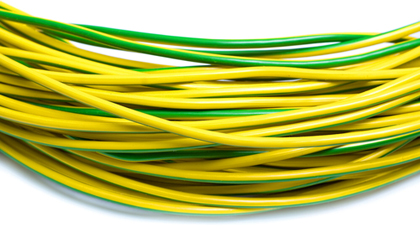 Green Datacenters – Structured cabling and/or good cable management practices contribute to making green datacenters. We supply turnkey wired and wireless network solutions to many market verticals including healthcare, state local and federal government, and local corporations. As a low voltage contractor, we can provide a less costly and quicker installation with a single point of accountability. CNC designs and builds flexible cabling infrastructures. Our structured cabling platform supports multiple voice, data, video, security and multimedia systems regardless of their manufacturer. We are a "one stop shop" for your network infrastructure needs. We will help you evaluate, design and install the optimum integrated system for your company.